New student? Current student who has just realised that it would be useful to find out more about library and information services? 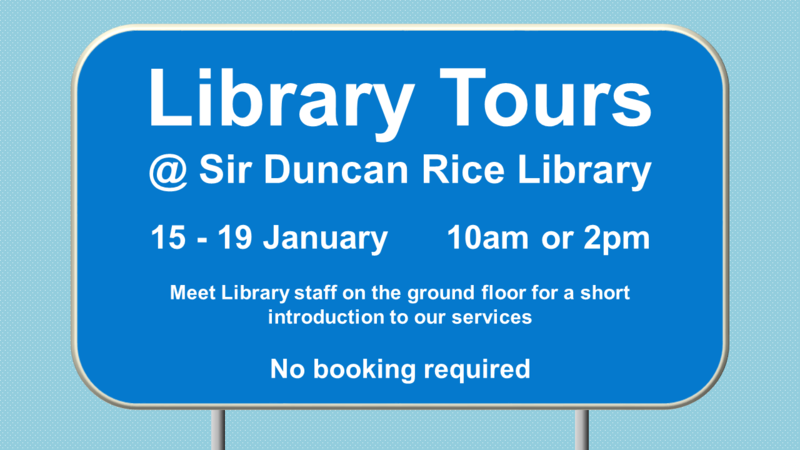 Come along to a tour and discover what is available to you from The Sir Duncan Rice Library and beyond…. WHAT: Short tour of the library lasting around 30 minutes, introducing you to the building, services and facilities, to help you make the most of the resources available to you from the library. No booking necessary – just come along on the day and time that suits you best. This entry was posted in general, services, students, taught postgraduates, The Sir Duncan Rice Library, tours, undergraduates by ewanag. Bookmark the permalink.